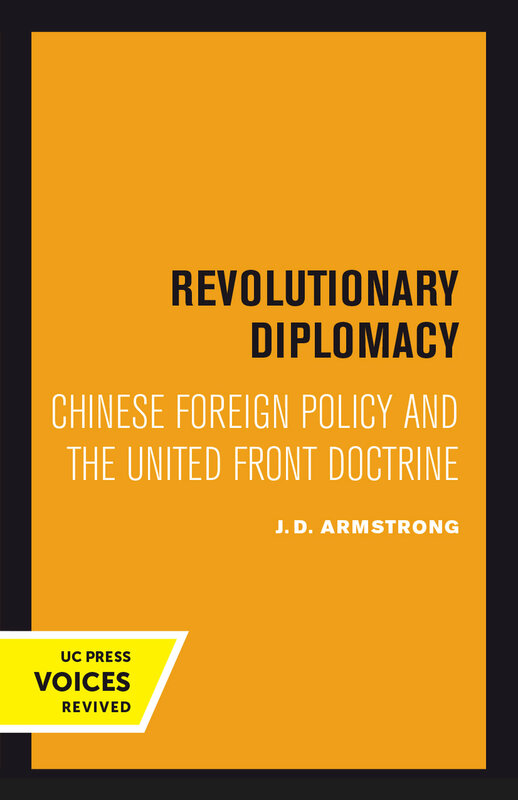 The principal question that is posed in this study is, what has been the influence of Mao’s united front doctrine on China’s foreign policy? A related but secondary question is also considered: In what ways, if any, has China's participation in the international system caused Peking to revise its conception of a united front in world politics? Insofar as Mao's thoughts about united fronts are part of the total array of theories and operational principles that make up the Chinese communist “ideology,” this essay considers one aspect of the relationship between ideology and foreign policy. Since this question has long been the subject of a mostly inconclusive and often circular academic debate, [Armstrong states his] reasons for returning to it here. The first is that the problem is no less important because it admits of no easy solution. Indeed, with the breakdown in the twentieth century of even the limited consensus over norms and values that permitted a great power concert to exist for part of the nineteenth, the question is clearly one of major significance in contemporary international relations. Since China has become in many ways a symbol of the postwar ideological challenge to the established order in world politics, the question is particularly relevant in a study of China’s foreign policy. Finally, by combining a strictly limited focus of enquiry with a systematic approach to the problem it may be possible to overcome some of the analytical difficulties that surround the larger issue of the relation of ideas to social practice. J. D. Armstrong is Emeritus Professor of International Relations, University of Exeter and Professor of Global Politics, University of Buckingham.